Knowing New Mexico is only second only to Mississippi in terms of poverty rate, chances are residents will be searching for ways to make ends meet.1 That often means reaching out to payday and title lenders—an option you will want to avoid. Payday loans and title loans in New Mexico might seem like the easiest solution for combating money issues, but they are not intended to help you out. Instead, these loan options have been created to entrap you in an endless cycle of debt—and you don’t want or need that in this economy. Payday lending companies are very common in poorer neighborhoods (more than McDonalds or Burger King). With 22 percent of New Mexico residents having taken out a payday loan, lenders make it seem easy to take out a quick loan for a couple hundred dollars—claiming it helps bridge the gap to the next payday. Fees and finance charges:$15.50 per $100 and a $0.50 verification fee per $100. Maximum Number of Outstanding Loans at a Time:Total loans and fees are capped at 25% of your gross monthly income. Repayment Plan:Yes, equal installments over a 130-day period with no additional fees. Payday loans in New Mexico are far from helpful for residents in need. Lenders have found ways around consumer protection legislation in order to provide high interest loans. On top of that, payday lenders in New Mexico are moving to the Internet to provide even higher interest loans. Instead of allowing these loopholes and high interest rates, New Mexico legislature needs to move toward improved rules and regulations to better protect consumers from predatory lending. Any way you look at it, title loans are taking advantage of low income families who need the money the most. While consumers think they will be able to pay back their title loan in New Mexico and not lose their car, lenders appear to set them up for failure in terms of repayment. In 2014, 10,000 vehicles were repossessed by title loan lenders, leaving many New Mexico residents without a means for transportation to and from work.11 Since title loans in New Mexico are codified in law, it means there isn’t much you can do if they follow the rules. There is no cap or term limit on title loans in New Mexico, which means lenders can charge any amount they wish for costs and term limits. In addition to no cap on fees or term limits, the maximum amount allowed for a loan is $2,500.15 Car title borrowers typically have low or moderate incomes, which makes it easier for title lenders in New Mexico to prey on them. New Mexico has made strides for improvement to protect consumers from New Mexico title lenders through case law, but work still needs to be done to improve the rules and regulations of title loans. It’s unfortunate when you hit a wall, or a “rough patch” when it comes to paying your bills, affording an emergency, or any other unexpected obstacle. So, when this occurs and you need money, where do you turn to? There are options for you, but what you don’t want to do is jump onboard the New Mexico payday loan and title loan train—it will trap you in an endless cycle of debt. But, if you’re already onboard the train, it is important to know what to lookout for. If a lender harasses you or isn’t following the laws of New Mexico, it is your obligation to reach out and report them. With more complaints and reports, the better legislation can fight for consumers like you. If you have been harassed, or experience a payday or title lender that does not follow the New Mexico laws, it is important to report them. By filing a complaint with the New Mexico Financial Institutions Division, you can help take steps toward improving rules and regulations in New Mexico against predatory lending. You can also find the contact information for the New Mexico Financial Institutions Division to the right of this page. Aside from the New Mexico Financial Institutions Division, you can find help and guidance with the Treinen Law Office. As a team, Treinen Law Office strives to protect consumers from rip off businesses and wrongful credit reporting. Treinen Law Office believes the interest rates on payday and title loans are grossly unfair and too high in New Mexico. While these fees are common in New Mexico, Treinen Law Office works with consumers to help them find a way out. The payday loan and title loan industry isn’t making it easy on lawmakers in New Mexico. With every court case against predatory lending, payday and title lenders continue to fight back, and win. To help New Mexico fight a battle against predatory lending and to better protect you against the vicious cycle of debt, reach out. By understanding warning signs, New Mexico laws, and where to report a lender or seek outside help against payday and title loans, you can help set new laws and legislations in place. Change might not happen overnight (especially with the fight lenders put up), it is a fight worth fighting for residents of New Mexico. Take a stand. 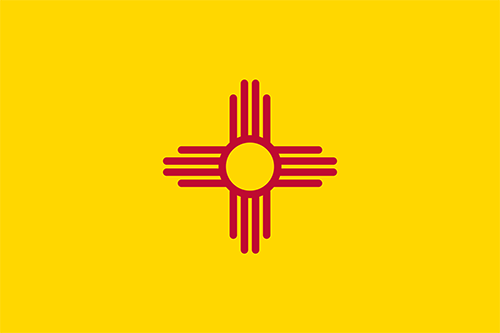 This page is available to provide you with the resources you need to learn more about title loans and payday loans in New Mexico—it has all the information you need, and then some. You know payday and title loans in New Mexico are a problem. But what about at the city level?